**THIS ITEM IS CURRENTLY ON BACKORDER. 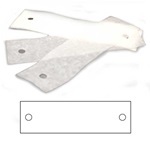 ** These banded chin rest papers fit Zeiss/Humphrey products and have notched ends . 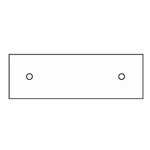 These non-sterile white papers are 3.94" (100mm) long, 1.38" (35mm) wide, and 2.95" (75mm) between holes. 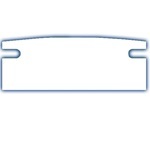 Manufactured by RJ's Ophthalmic Supplies. Comes in a box of 100. **THIS ITEM IS CURRENTLY ON BACKORDER. 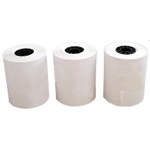 ** These white shrink wrapped chin rest papers are non-sterile and fit Nikon products. 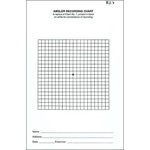 These papers are 5" (126mm) long, 1.375" (35mm) wide and 4.5" (114mm) between holes. 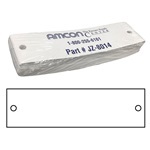 Manufactured by Amcon. 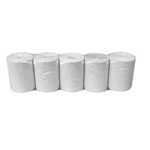 Comes 500 per pack. **THIS ITEM IS CURRENTLY ON BACKORDER. 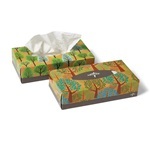 ** Kleenex brand facial tissues that measure 8.2" x 8.4". 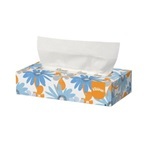 Tissues are white, 2-ply, and come in a flat rectangular junior box. Manufactured by Kimberly Clark. 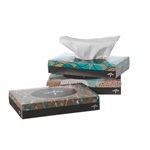 Comes 40 tissues per box and 80 boxes per case. **THIS ITEM IS CURRENTLY ON BACKORDER. 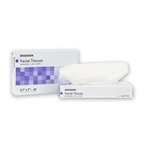 ** McKesson brand facial tissues that measure 5.7" x 7". Tissues are white, 2-ply and come in a flat rectangular box. Manufactured by McKesson. 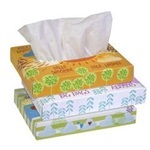 Comes 40 tissues per box and 200 boxes per case. 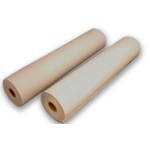 White exam table paper with a crepe texture making it gentle but durable. 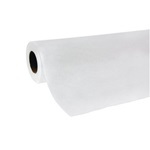 Roll measures 21" x 125'. Manufactured by McKesson. Comes 12 per case.